Bathrooms are one of those spaces in your house that can easily become unruly because of the sheer amount of different, but necessary, daily products. This can become especially troublesome if your storage options in the bathroom are limited. However you are set up, there are some simple ways to keep your things organized so that you can find what you need, when you need it. Start your process with a good old–fashioned purge. Go through your cabinets, drawers, and shelves to get rid of expired and unused items, as well as any items with bulky packaging. When everything has been cleared, outfit your cabinets with a handy hair-dryer caddy or a back-of-the-door rack. Add a lazy Susan to your bathroom cupboard to store all those different containers. This small addition will instantly help clear the space of unsightly clutter, making all your items so much easier to find! Simply rotate it to whatever you need and stop worrying about knocking over every other product in sight. If you have kids, you know that their toys can get EVERYWHERE! Reign in their foam alphabet letters, rubber ducks, and mermaid dolls with handy storage bins to get some breathing room back. 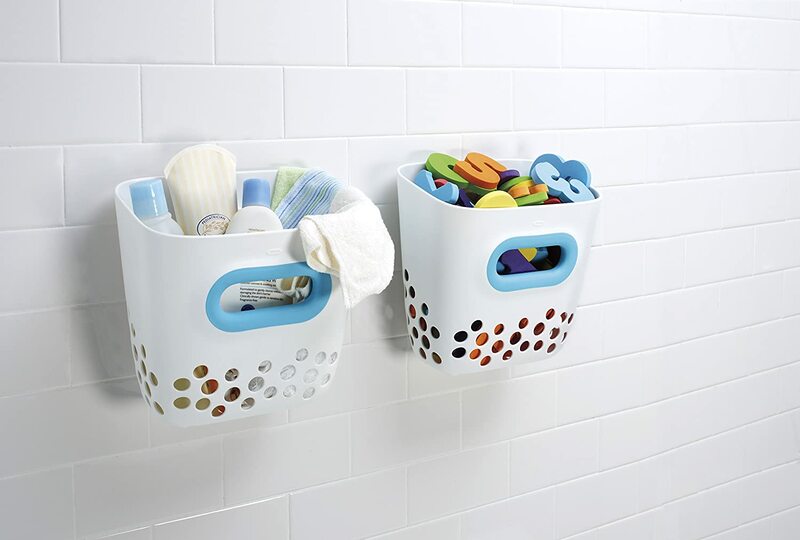 Install easy to reach, open-topped plastic bins for both toys and shampoos. Make sure that they have draining holes to reduce moisture buildup! Skip traditional cabinets and opt for a more casual approach with a leaning ladder. Ones with tray-like shelves help keep the space feeling open while providing a lot of storage options. You can add baskets to create hidden storage options for items you don’t want out in the open, while also showcasing decorations like a sprawling house plant. 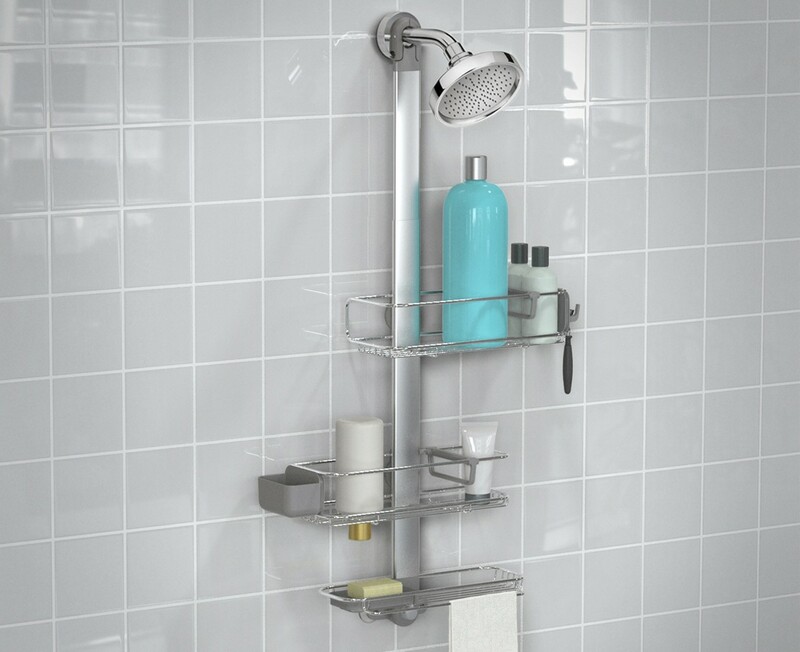 If your shower doesn’t have built-in shelves, using a hanging or tension shower organizer means your shampoos and soaps aren’t perched all along the edge of the tub or squeezed into a windowsill. As a bonus, this will stop the mildew build up that comes from storing your bottles those surfaces. As a rule, your top drawers should be limited to products you use several times a week, if not daily. This means stashing your special-occasion cosmetics in a separate out-of-the-way bag. Drawer dividers are essential when it comes to keeping things organized and will further simplify the morning makeup search. A rolling cart is one of the most versatile products you can buy. If used properly, they really help clear the space on your counters and shelves, and can easily act as a vanity or cabinet substitute.Try using the cart to store extra towels, nail polish, and makeup to create a mobile cosmetic station! With these simple steps, you can take back your bathroom space from those encroaching beauty products and shampoo bottles. We hope you enjoyed these re-organization tips and that it will help you breathe easier when it comes to your morning routine! To find out more about Marlin Spring and our developments be sure to check us out here.